On this Christmas Eve night I will be in the TV program called “EARTH Lab “on BS TBS (Start at 11:24pm, Saturday on December 24th on air). 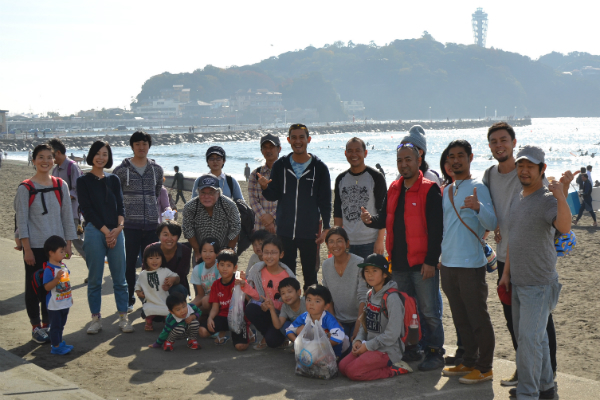 They featured the beach clean up event with Enoshima Aquarium (held on November 20th, 2016) and the 8th beach glass contest as part of BeachMoney activities. I look forward to watching the program since this would be the first time showing our beach glass contest on TV. The program will be 2 minutes, and you can always go to EARTH Lab archive page on TBS website to watch the program again.